Sheraton Buenos Aires hotel, In the center of it all. 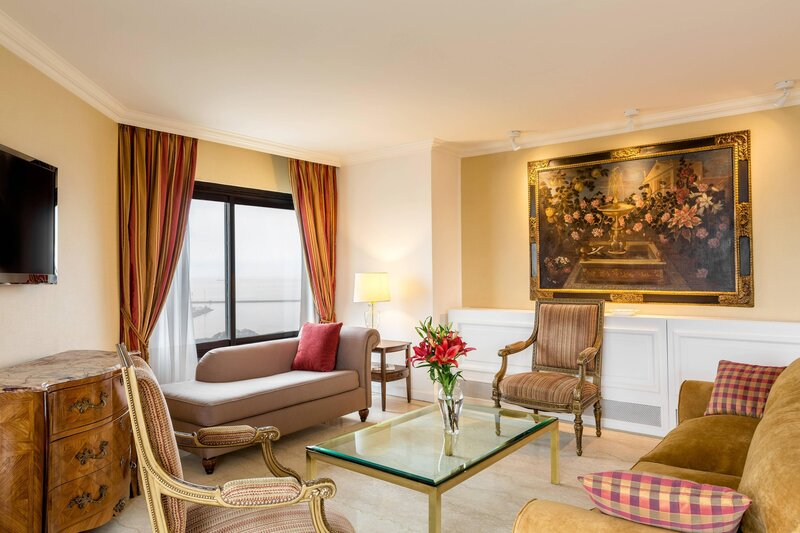 Located in the heart of the city, the Sheraton Buenos Aires Hotel & Convention Center is a landmark for international travelers. 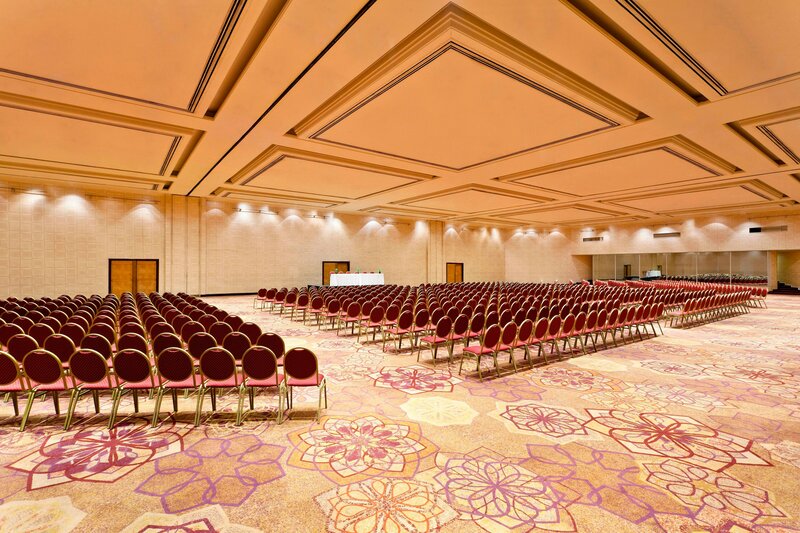 Our extensive meeting facilities and services make work a pleasure for business travelers and convention attendees. 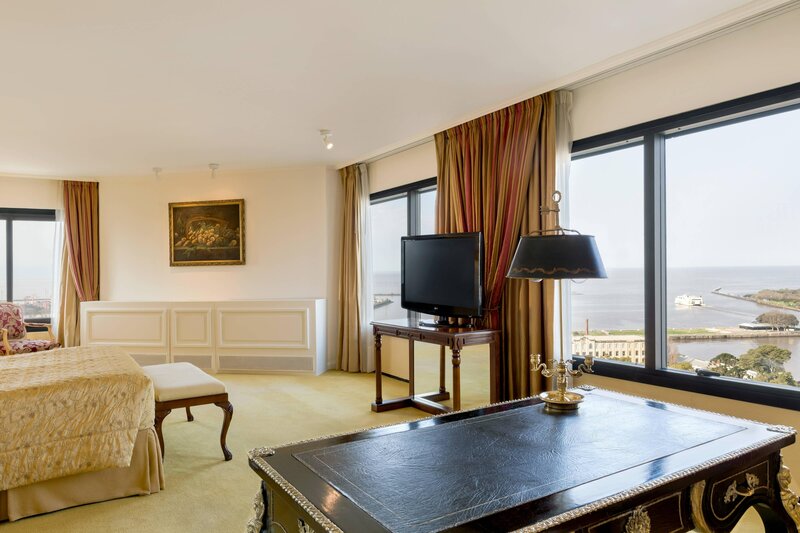 Step out and enjoy the beautiful sights Buenos Aires has to offer, work out in our state-of-the-art fitness center, reenergize with a good night&apos;s rest in one of our 740 rooms or just relax with one of the amenities we have to offer to make your stay more pleasurable. We have a variety of activities to stimulate your mind and body, including the largest spa Buenos Aires, two swimming pools and two tennis courts. Our 24-story hotel offers tastefully decorated guest rooms and spacious suites, including five executive floors fully equipped for business travelers. Your comfort is assured with a Sheraton Sweet Sleeper® Bed in every room. 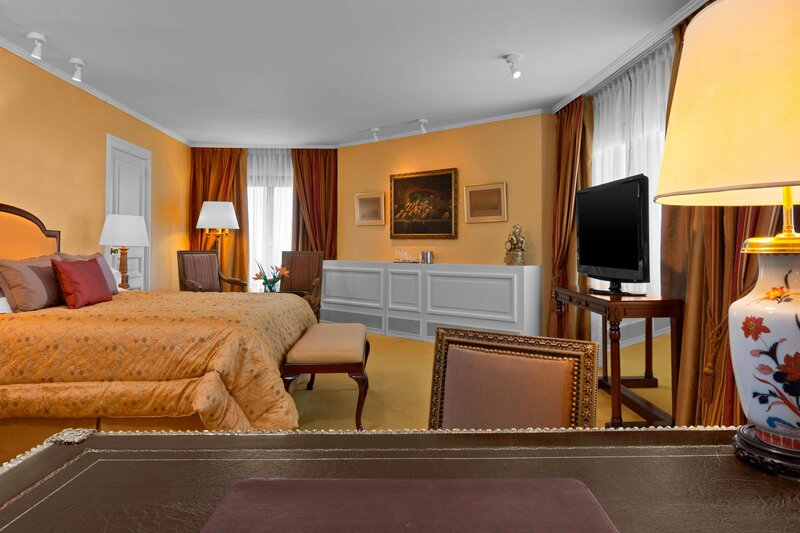 The San Martin Suite is our largest, most prestigious suite. 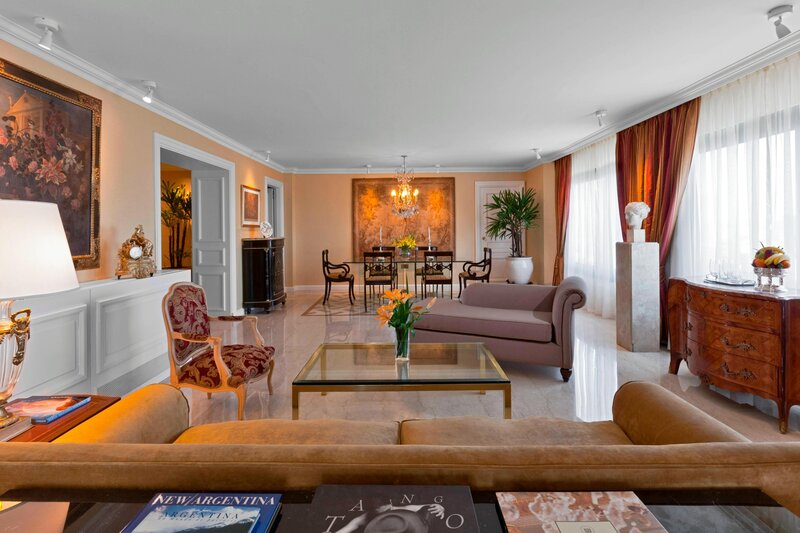 The quiet of such a high floor combined with antique paintings and décor and French-style furnishings give this suite a classic charm. 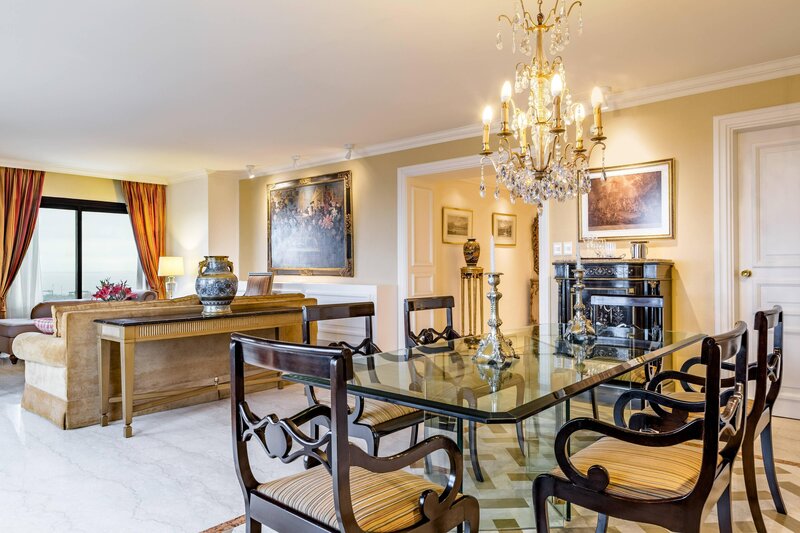 With a spacious living room, full-size kitchen and walk-in closets, this room provides all the comforts of home as well as an elegant, classic ambiance and spectacular panoramic view. From an elegant ambient with Italian food, specialty cocktails on the Lobby Bar and delicious grab & go options, we have it all. Buono Italian Kitchen serves Italian dishes and desserts in an elegant atmosphere while the Lobby Bar entertains with live music and specialty cocktails. For those busy days, take advantage of our Grab & Go food option and keep moving at your own pace with some delicious food choices. 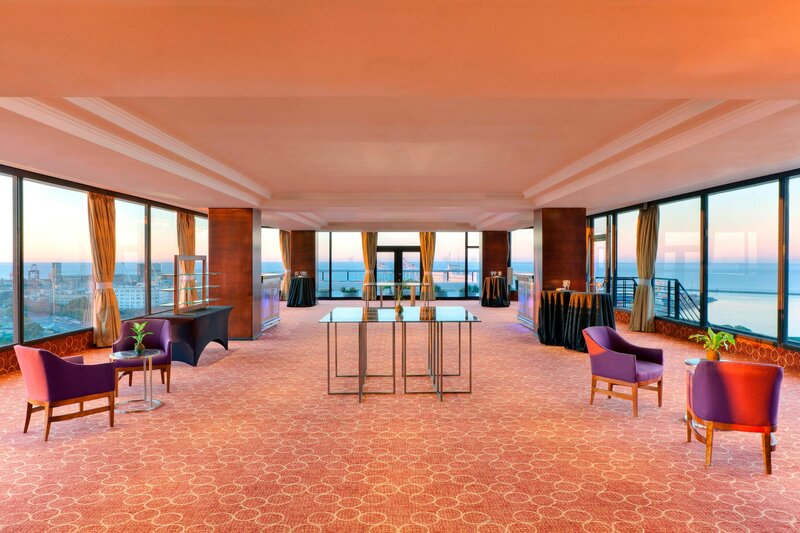 The Sheraton Buenos Aires Hotel & Convention Center offers the largest event facilities in the city. 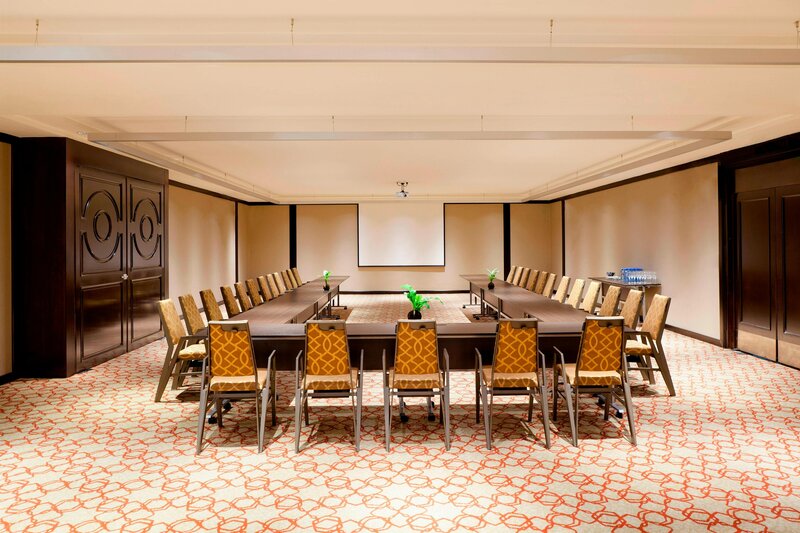 Our fifteen meeting rooms totaling 6,500 square meters can accommodate up to 9,000 guests. 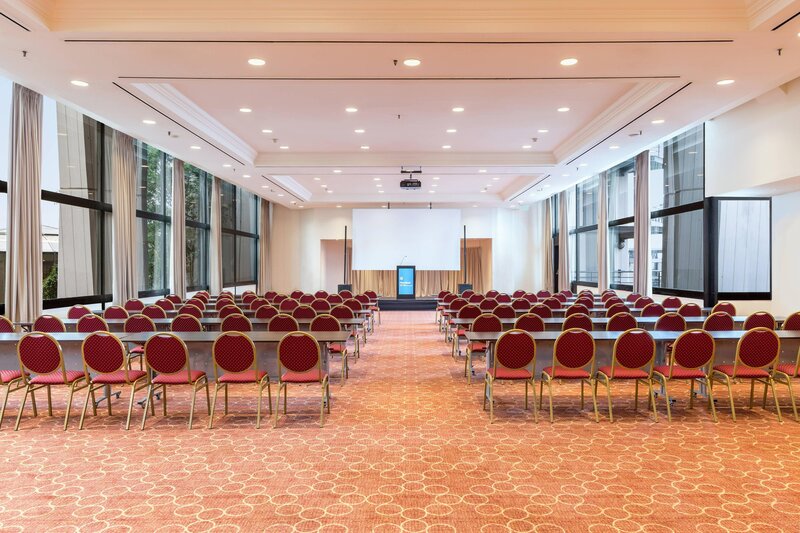 Our venues are ideal for conferences, exhibitions and small events. Venues include audiovisual equipment, videoconferencing services and simultaneous translation. Plus, our specially trained staff provides excellent food and beverage service. 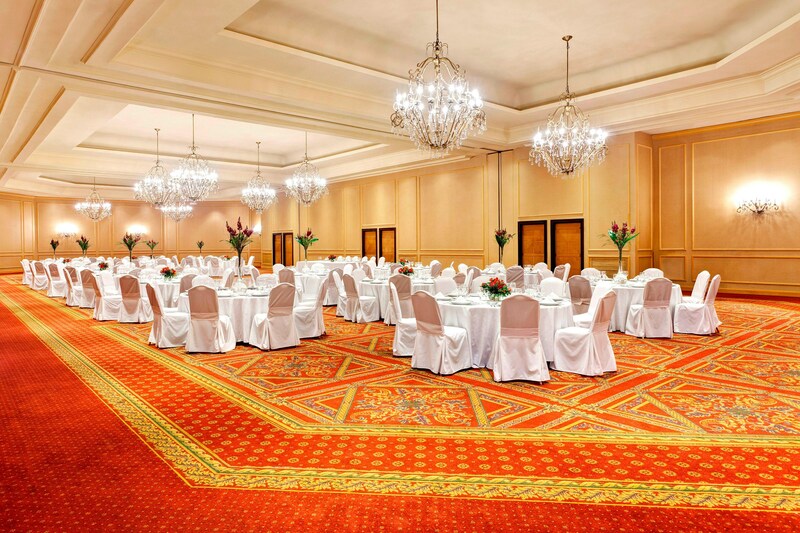 The impressive 13,740-square-foot Libertador Ballroom offers spacious, elegant facilities for banquets and theme parties. 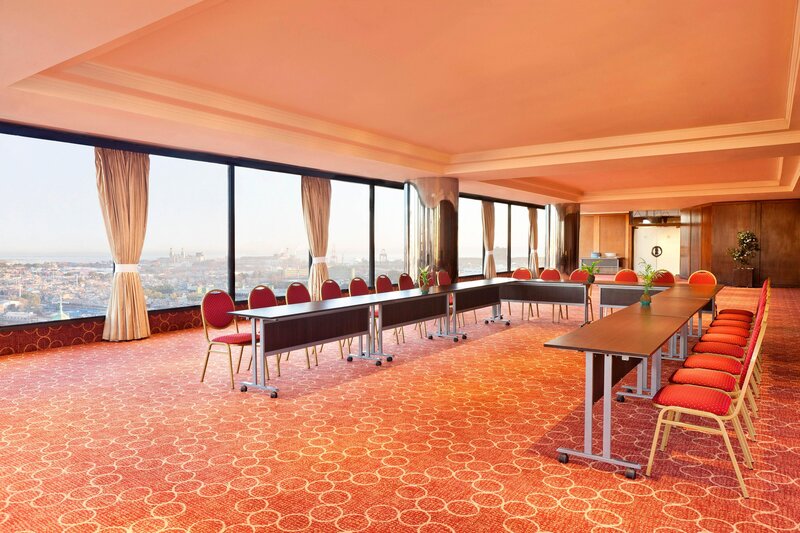 Or enjoy the city view from the Atalaya Meeting Room on the 24th floor. Sheraton Buenos Aires Hotel & Convention Center helps you stay active with our indoor and outdoor pools and a fitness center. The hotel features a seasonal, outdoor pool with a spectacular sun deck and sun bar as well as a year-round indoor pool with jet-stream that’s comfortable no matter the weather. A fully equipped gym and qualified staff are available to help you with a vigorous workout or a variety of spa treatments. 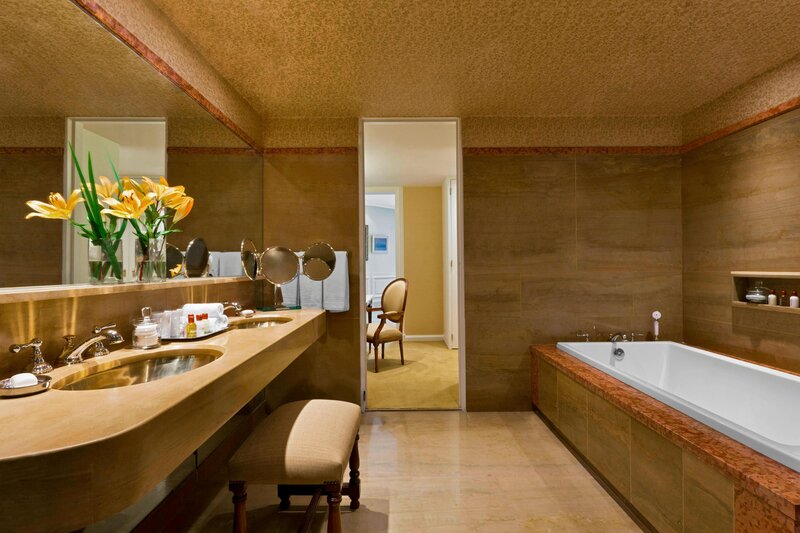 Hotel facilities include state-of-the-art cardio equipment, indoor/outdoor pools and two lighted tennis courts. A retreat reserved for guests that expect a certain level of services and amenities, Sheraton Club keeps you productive on the road. Your stay gives you a chance to relax and connect with friends or your team.